Bangla sanglap desk: Britain can change its mind about leaving the EU, a top official at the European Union’s highest court has said. Manuel Campos Sanchez-Bordona has just given remainers further hope of cancelling Brexit by saying a decision to revoke Article 50 would be legally valid. He rejected the idea that Article 50 only allows the possibility of revocation following a unanimous decision of the European Council. He said Article 50 gives room for Theresa May to unilaterally revoke its intention to leave the EU ‘until such time as the Withdrawal Agreement is formally concluded’. Since Article 50 is scant on details – largely because the idea of any country leaving the bloc was considered unlikely – a group of Scottish legislators wanted to know whether the UK can pull out of the withdrawal procedure on its own. 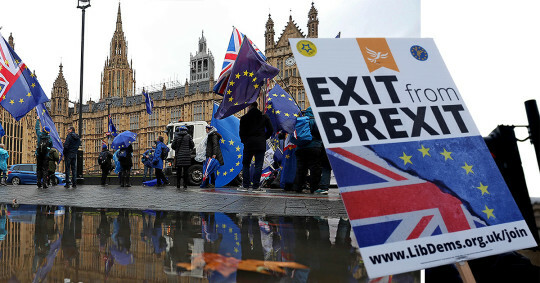 Those who brought the case argue unilateral revocation is possible and believe it could pave the way for an alternative option to Brexit, such as a People’s Vote to keep the UK within the EU. Legal representatives for the Government believe the case is inadmissible as it deals with a hypothetical situation, since their current policy is not to revoke Article 50. Lawyers representing the Council of the European Union and from the European Commission argue revocation of Article 50 is possible but would require unanimous agreement from all 27 member states. The Prime Minister is opening five days of Brexit debate on her deal in Parliament today, before MPs get to vote on the agreement on Tuesday, December 11. Defeat would leave the UK facing a chaotic ‘no-deal’ Brexit on March 29, and could throw the country into a general election. Before the debate, May’s government faces another showdown with lawmakers over legal advice about the Brexit deal. Lawmakers are voting on a motion that could find the government in contempt of Parliament for refusing to publish the full guidance from Attorney General Geoffrey Cox. The Liberal Democrats believe AG Cox should be suspended from the Commons if he is found to have been in contempt of Parliament.